Brimming with holiday magic and plenty of cheer, this is one festive event you will not want to miss! Hop aboard a deluxe motor coach departing from several locations around Seattle and enjoy a scenic ride across the Cascades to the Bavarian-themed town of Leavenworth. Upon your arrival, the fun continues during the opening ceremonies as Santa Clause and other costumed characters parade into town at noon. 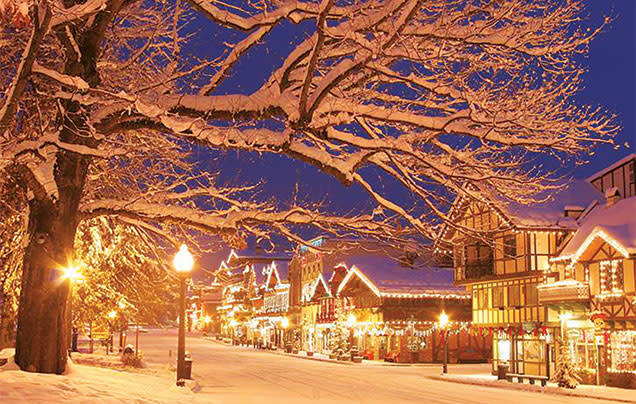 Walk around town to shop at unique stores and galleries, take a sleigh ride, enjoy delicious German food and soak in the spirit of the season as the aroma of roasting chestnuts fills the air. At dusk, gather for the highlight of the day – The Lighting Ceremony – and join Santa in bringing the town to life with more than half a million sparkling lights and live music. Space is limited and will sell out. Book early for best availability and best rate!